Not long ago, President Trump quipped that maybe President for Life is a pretty good deal. From where I sit in Rome, it’s hard to tell on some days, who said it better? Trump or Mussolini? Although little Benito started out in abject poverty, the differences between the two end there. As a child, he was considered unruly, aggressive and moody. Mussolini grew up to become a media man who understood how much power properly placed propaganda held to prop him up. As he carried out his mission to establish a one-party state, fortunately, he would not achieve totalitarian rule because the monarchy and the papacy acted as a sort of check on his ambitions and power; not to mention the allies later running offense up and down the Italian peninsula, Africa and elsewhere to resoundingly put him and his fascist ways asunder. But first, about that monarchy: The House of Savoy was beloved by the people – it's thought that even the Margherita pizza was named after a Queen. 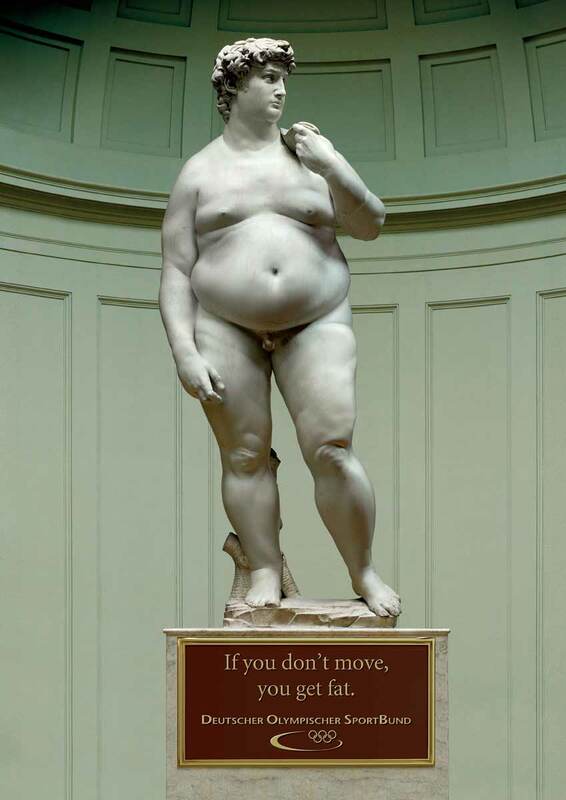 Mussolini erected the huge white monument in Rome’s Piazza Venezia for Victor Emmanuel II, the first king of a united Italy, probably as a monument to the King’s ego – a sort of insurance policy so that the king would have his back. But by the time the war ended, the Savoia’s would be run out of the country into exile in Egypt; their palaces and properties confiscated, and no male heirs or royal consorts permitted ever to return. This held up until 2003, when Parliament figured that by then, they were quite toothless, only to discover that the former Prince had used his idle time to start up a prostitution ring in the northern gambling town of Campione d’Italia. His son recently set up a street food stand in LA. I guess they could use the dough. But why did popular sentiment turn on them so quickly? Italians, after the war, realized that the monarchy had not defended its own people – pretty much its only real job description, other than that of opening bottles of champagne for visiting dignitaries. Mussolini had enacted the racial laws and before anyone knew it, Italian citizens, Jews, were being rounded up from the ghettos, eventually to be hauled off to death camps to the North, most never to return. This was too much for the peaceful people of Italy – even for those who had so blindly supported Mussolini and his muscling in on their basic liberties. So how did Mussolini rise to wield such power over a people and get away with it…that is, up until he was hanging by his feet from a lamppost in Milan, marking the end of WWII? At least in Italy. And especially for him? When elected Prime Minister in 1922, his Fascist party held only 32 of 535 seats. This guy, who many considered a blowhard, and far too young and unprepared for high office, swiftly obtained ‘emergency powers’, garnering control over parliament. In his defense, he remarked, “It is really easier to give orders myself instead of having to send for the Minister concerned and convince him about what I have done.” Just one year later, he would introduce a law to gain absolute majority in parliament. By the next election, the Fascists would secure 66% of the vote. “I have absolute right to do what I want to do with the Justice Department." To gain support of the people, Mussolini operated a binary system: employing intimidation or threats to suppress his opponents, while at the same time pretending to be a moderate when it came to crafting deals. He would be the lone warrior against that ultimate evil, socialism: “Italy… wants peace, wants quiet, wants work, wants calm; we will give it with love, if that be possible. Or with strength if that be necessary.” But who said it best? Mussolini set out to ban opposition parties and non-fascist unions; not unlike corporate America’s decades-long battle against labor and teacher unions – perhaps starting with Ronald Reagan’s mass firing of the air traffic controllers in 1981, and ending with Walmart’s utter disregard for workers, up to Wisconsin’s banning of teacher unions altogether. Mussolini picked off opposition Senators one by one with those finding themselves like a few Dems who today are on the wrong side of the NRA, or publicly humiliated after a particularly cogent grilling of one’s Attorney General. But one of the most effective tactics was Mussolini’s private security detail; basically arresting people for any anti-party activity. In the USA, peaceful demonstrators get arrested, others intimidated or frozen out for their ‘anti-patriotic’ stance while drivers are encouraged to plow through demonstrations. And ICE – well, we know which party those families would belong to, if they could vote. Mussolini reintroduced the death penalty in 1926, with scores of ‘traitors’ in line for execution, declaring, “…It will be less and less easy to threaten the government’s existence and tranquillity of the Italian people.” I imagine hordes chanting at his rallies, “Lock them up!” Eventually, 12000 prisoners would be held captive on a remote island, picked up by the private military police and Mussolini’s personal ‘bodyguards’. after the election, the president-elect has retained his own private security and intelligence force, breaking with tradition and creating operational and potentially legal problems. Mussolini knew that another pillar to take down would be opposition newspapers, so he started censoring them, harassing editors or forcing them into exile. He ultimately proclaimed that one could only report within the confines of the State – his State – and no one would be permitted to muddy its name or actions. While obstructing the opposition press, he used his own newspaper, Il Popolo d’Italia (People of Italy) to spread his State propaganda. Even military defeats would be portrayed as a win. in his first 11 months in office. Enter Matteotti – who denounced this despot as early as 1924 -– “You want to hurl the country backwards, towards absolutism… We will defend by demanding that light be shed on elections” he challenged, culminating his impassioned speech with, “Now you can prepare my funeral oration.” Matteotti would be assassinated in short order, allegedly by Mussolini’s own private security force. In protest, 150 opposition members left the Chamber during one of Mussolini’s speeches. He quickly proclaimed that anyone leaving would not be allowed back into the House. “They were like death, un-American. Somebody said treasonous. Yeah, I guess, why not? Can we call that treason? Why not? To further consolidate his power, he turned a blind eye to tax evasion by big business and introduced religious education in public schools. He brought the men of the cloth to his side by increasing pay for the clergy and banning contraception, while at the same time, locking his own former mistress and her child in a lunatic asylum, lest they speak out. in direct violation of the U.S. Constitution. It seems a swathe of people were still more inclined to protect the unborn than their own freedoms. 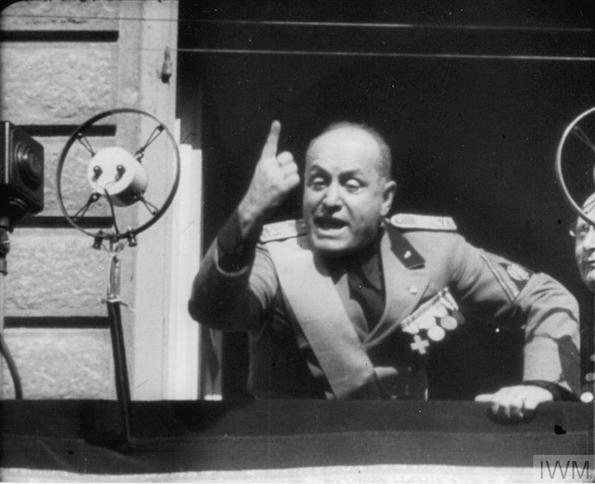 Mussolini chirped from his balcony in Rome’s Piazza Venezia for every decree: “The truth is, the people are tired of liberty.” Once he determined he could govern by decree, he would hand down a dizzying 100,000 of them. Trump issued more Executive Orders in his first 100 days in office than any president since Harry Truman. By 1928, just 6 years after taking power, all new newspapers would be banned. Thankfully, in a digital age this is impossible, but terming any opposition article, “fake news” or insisting that journalists are the “Enemy of the People” while muddying the waters with real fake news, comes as close as you can to mirroring the nefarious deeds of the past in the new millennium. Soon, Italians would be ‘educated’ with pro-fascist viewpoints alone – resistance outlawed entirely. In just under a year, by restricting the freedom of the press, the Fascists were fully in control of the people of Italy. The result? Mussolini became ever more popular, convincing the populace that extensive public works projects put people to work while educating the masses in civic virtue. It was not long for people to see that a strong single governing body would create an even stronger, united Italy. "I hope they arrest these people because they're really violating all of us," Trump said. His fervor to ‘go it alone’ (up until joining Hitler) was legend. But who said it better? “We become strongest, I feel, when we have no friends upon whom to lean, or to look for moral guidance”. “'America First' - we won’t be lectured by corrupt countries on the Palestinian and Israeli issue." In the end, it was this trumped up fear of socialism that allowed Mussolini to cling to power. And even as he gained control over most parts of government, he continued his shenanigans, playing with propaganda, day in and day out, in order to garner more recognition and tributes. His mantra, “The people must accept obedience. They must and they will believe what I tell them…” would soon securely establish his influence over a people. It was, effectively, a one-party state. More propaganda tools were set into motion, including the publication, ostentatiously called, The Cult of Il Duce. Mussolini would be the first to appear in a talkie movie. Posters would be printed, and State control over businesses following the crash of 1929 were deemed ‘necessary’ to help prop up the banks. The Corporate takeover of Italy was well-established at this point. Mussolini himself, the ex-socialist, put it this way: “Fascism should more appropriately be called Corporatism because it is a merger of state and corporate power.” Just ask Tillerson. Or the Koch Bros. Or the Waltons, or virtually every cabinet member tied to a major corporation. “You work for me, you don’t criticize me,” the president was reported to have told one major federal contractor. According to Encyclopedia Brittanica, "Mussolini might have remained a hero until his death, had not his callous xenophobia and arrogance, his misapprehension of Italy's fundamental necessities, and his dreams of empire led him to seek foreign conquests.". But what about that monarchy or the church as a check on his power? Although the Pope publicly upbraided Mussolini for his anti-semitism and his cozying up to Hitler in 1938, it was not soon enough nor emphatic enough; merely a slight tear in his iron-clad glove. It would seem that the Church still preferred a dictator over a socialist. And the die was cast. As for the King, Mussolini would simply ignore advice doled out in their weekly meetings, limiting his interaction with the monarch. The King, in an effort to reestablish his position, welcomed the Führer to Rome instead of letting him meet with Mussolini. While still in control of the military, the King made his bed. He would eventually have to sleep in it – in exile. Alas, the United States cannot count on either of the latter two. Get your own User's Manual to Life in Italy! Right now, only available on Kindle! 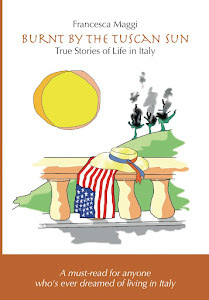 For more Irreverent Italy news, cartoons, & various musings, Find me on Facebook & Twitter! Subscribe Here & Never Miss a Post! Speaking Italian & Getting 'Lei-d"
Chi Cosa Quando e Perchè? Italy in Cartoons - Get one a Day! Live from Tuscany - Vino & Amore!